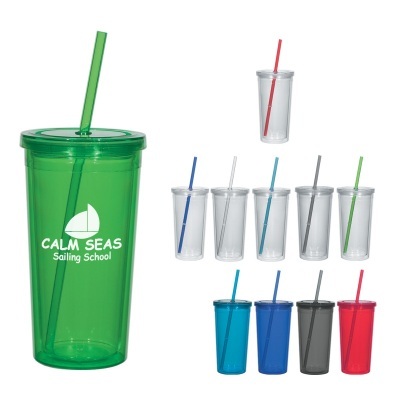 Plastic acrylic tumblers with straw and screw on lids. 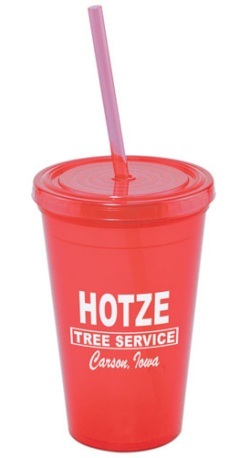 Premium promotional product for hot or cold drinks to advertise your name or message. Made in the USA! 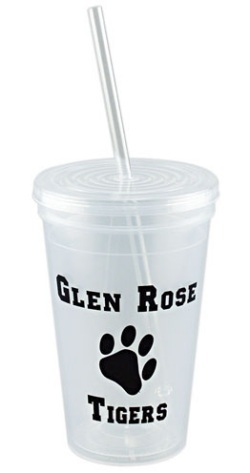 16 oz plastic tumbler with matching straw and screw on lid. 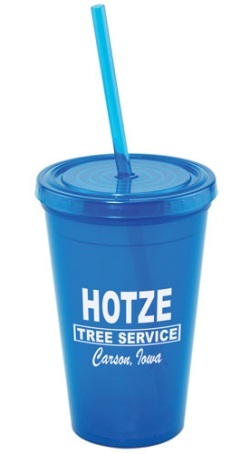 Has a tapered bottom that fits most beverage consoles including autos, golf carts & boats. Not dishwasher safe. Hand wash only. An additional Artwork Screen Setup Charge of $60.00 must be paid to begin art work. Imprint area:3″ high x 4″ wide, wrap not available. Production time is 15 business days after proof approval plus shipping time. 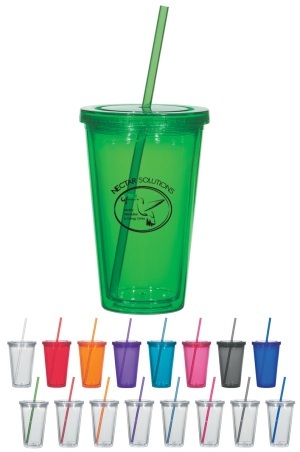 Translucent: blue, charcoal, clear, green, orange, purple or red – all with matching colored straw. The ink colors listed in table below are our standard colors. If a PMS Color match is requested, add $50.00 per PMS color. PMS Color Match cannot be guaranteed. 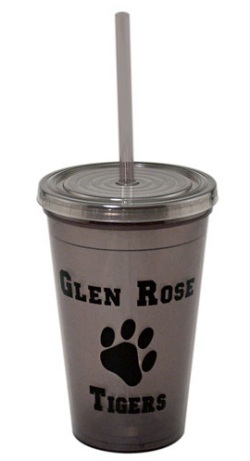 Customized Acrylic Tumbler – Large with Flat Lids. 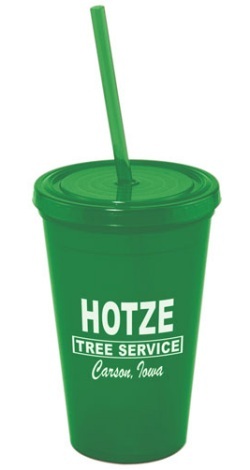 High quality co-polyester, BPA Free and comes with a matching 10-1/4″ straw. Translucent: blue, charcoal, clear, green or red – all with matching colored straw. These ink colors are our standard colors for Acrylic Tumblers #HP5869 and #HP5868. If a PMS Color match is requested, add $50.00 per PMS color. PMS Color Match cannot be guaranteed.